Baseball was coined “America’s pastime” in the 1850s. Still today millions of people head to the ballpark to enjoy the sport every spring and summer. Along with the excitement of a three-hour game comes some downtime between innings. This downtime is an incredible opportunity for businesses to advertise to an audience that likely spends that downtime surfing the web on their phones. With today’s advertising technology you can easily target people inside your favorite MLB ballpark and surrounding areas and deliver your message to this affluent and family-focused audience. 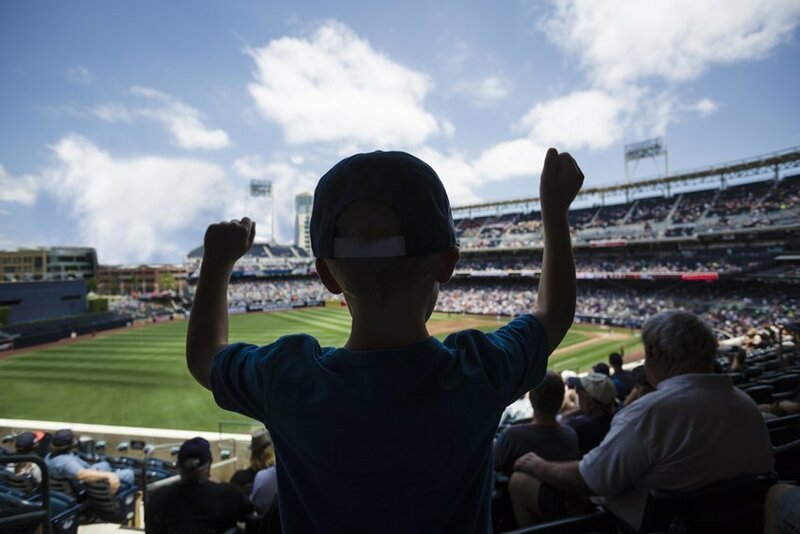 Here are four reasons your business should showcase your brand at baseball games this season. This means your business can reach Major League Baseball game attendees over and over again, for six months straight. Combine the extensive timeframe with hyper-focused advertising and you’ll have your brand in front of your ideal customer in no time. Not only that but if you partner with an expert, you will be able to continue reaching those customers when they leave the ballpark and after the regular season is over, so your business is top of mind when it’s time for those consumers to make purchasing decisions. The Wall Street Journal ran the numbers and found there’s about 18 minutes of action in the average MLB game. The average game time is three hours and five minutes! That means two hours and 47 minutes of downtime in every MLB game. Multiply that by 81 MLB home games and you have 225 hours of downtime per season, giving your business an incredible opportunity to reach consumers who are looking at their phones while waiting for the action. 83% of MLB fans browse the internet to check the weather, 79% check the news, 70% do online banking and 54% check sports scores. Reach your audience where they are already spending their time by advertising your products and services across the web. Make your business the one fans know by putting your name in front of them time and time again. By reaching these consumers on mobile, your business will be able to establish brand awareness, promote special offers, and get more sales as a result. In the last 12 months, 49% of MLB fans have acted on an ad they saw in search results including on Google, Yahoo and Bing, meaning almost half the audience is willing to make a purchase from your advertisements. Don’t miss the opportunity to get real ROI by reaching a reactive audience. From the extensive season filled with downtime to an audience that loves to browse online, targeting MLB fans with mobile ads is a home run! Digital Air Strike’s team can help you deliver targeted ads to this audience. Contact us today at sales@digitalairstrike.com.